Holding the DBFM Mesh Poly Fabric Material with print logo on the front, you can see the beautiful results. The Polyester is super strong thanks to the special DuraThread Pattern and quality fibers. All of our material is also chemical coated to give stunning print and lustre results. Outdoor fabric inks are used for use outdoor in the sun. The strongest, most versatile banner materials on the market specified 18% more than foreign claimed materials. "Signs I'm so glad I found you, We love the prices, love the printing, love everything!". 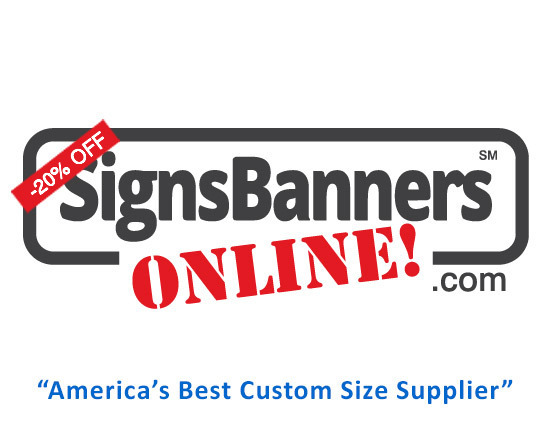 Add a new product line to your sign shop products list. The new policy of low wholesale with variable quantity and volume prices (shown pre order) gives you as the signage designer greater profit to ON SELL your customer needs. We do not see your Retail at any stage. All business is confidential between design or sign co and you. We print, sew and deliver to you.